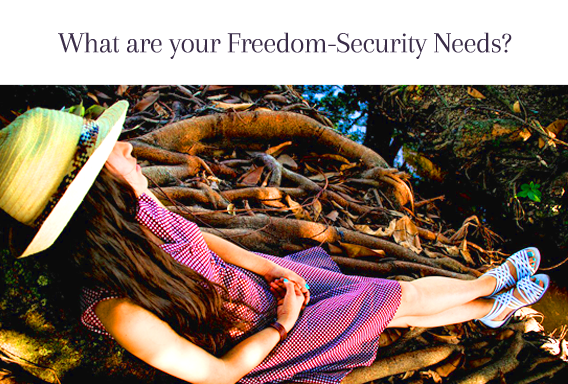 This simple assessment will help you identify your freedom and security needs. Be honest. Choose the response that first occurs to you. It’s usually the most accurate. No response is more “correct” than any other.